Woolworths’ new Metro store in Pitt St, Sydney. Would you shop three times a day at this supermarket? 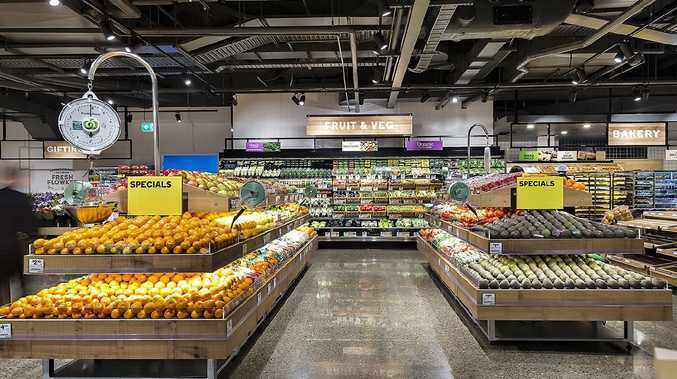 VERY quietly, supermarket giant Woolworths has opened a new concept store which, it hopes, will fundamentally change the way we shop with the retailer. Breaking from the trend of shopping at Woolies once a week, the store is designed to drag you in as much as three times a day. 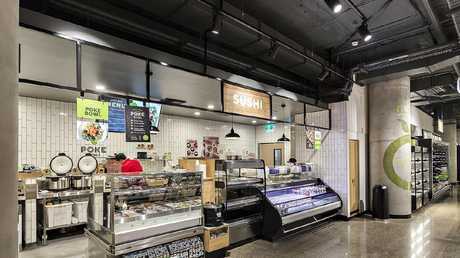 Opened last month, the Woolworths Metro store on Sydney's heaving Pitt St Mall has been inspired by retailers on the choked streets of Hong Kong. Far from being a one-stop destination for your pantry staples, it has a "curated range" to keep you coming back for more, the company says. The traditional deli counter has been binned, replaced by a large kitchen serving everything from piping hot roast dinners and red curries, to poke bowls and bespoke salads. it's smaller than a usual supermarket. You'll barely find loo roll, but if you want hemp powder, it's here in abundance. 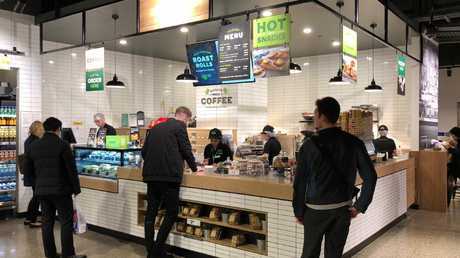 Woolies wants you to linger too, with a cafe, indoor seating area with phone chargers and microwaves and a sandwich press so you can even cook your own food. 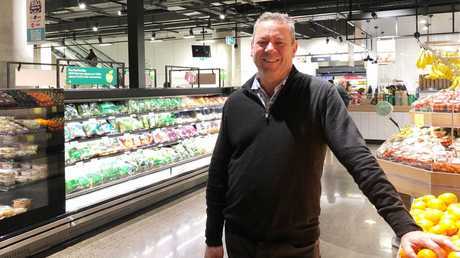 Woolworths' Metro division managing director Steve Greentree said the store was serving as a testbed with the best ideas likely to crop up in larger suburban supermarkets. But there's a price to pay with everyday groceries, such as Corn Flakes and Vegemite, costing more than at your average Woolworths store. 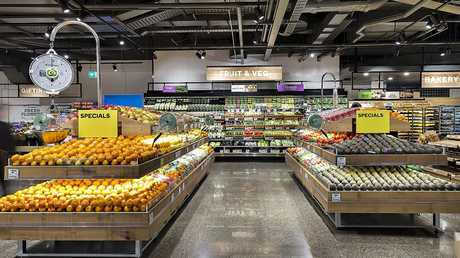 The opening of the new concept Sydney branch comes as Coles announced on Thursday it would open its first convenience-sized store in Melbourne's ritzy eastern suburbs by the end of the year. But they'll be playing catch-up with Woolworths now having 50 Metro-branded mini stores under its belt. The Woolworths Metro Pitt St has an industrial look. Mr Greentree said the new stores didn't particularly see Coles as a competitor; rather it is in a battle royal with cafes and food outlets. 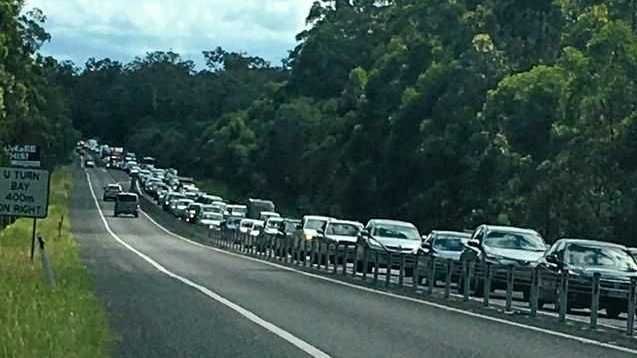 "If you come into the city wanting lunch at the moment, you have to queue up at a food court but we have an offer that's significantly cheaper," he told news.com.au. "We used to use a supermarket once or twice a week. What we're building with this store is somewhere we serve you three times a day," he said. "The first thing you see when you walk in is a cafe where you can get breakfast and then as you go through the day you can get lunch and then, as you head home, there's a dinner solution." And if you think Australians would turn their collective noses up at a supermarket flat white, think again. While Coke or bananas might be the top selling product in most Woolies, here takeaway coffee is by far the most popular single item. "I guess there is a snobbery with coffee, but what we're serving is Vittoria coffee and Vittoria do all the training for our baristas, but it's affordable," Mr Greentree said. Woolies' dream customer could well be Kirrily, an office worker in the CBD who we spoke to after she picked up a Thai red curry: "It's easy and convenient. I work around the corner so I can just run here, pick up some lunch and my groceries too." Woolies' Metro stores aren't themselves new; it's opened 27 from scratch and converted the rest from existing smaller supermarkets. But the Pitt St store is the start of a new concept, Mr Greentree said. "This store is a combination of everything we've learnt on a journey of 27 other stores as to how we get people through the front door and the food we serve," he said. Inspiration had come from the UK and US but also from Hong Kong, where supermarkets are adept at serving customers living cheek-by-jowl. Queensland University of Technology retail expert Gary Mortimer said population growth was now making smaller, fancier stores financially viable. "Young people and retirees downsizing are moving into urban areas so there's this influx of high density living and people who are exceptionally time poor with a small kitchen," he told news.com.au. "Putting milk at the back of the store is an old strategy; now it's about making it easy for shoppers. Supermarkets are saying: 'We're not going to give you a 2500sq m store, we're going to give you a smaller store with a curated range which is easier to grab and go.'" 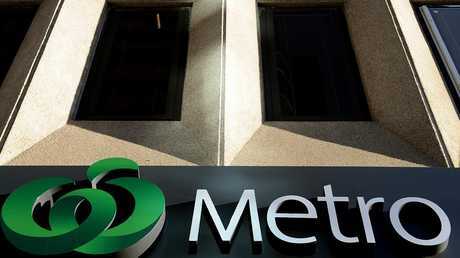 Metro stores are open in Melbourne, Brisbane and Sydney. The next new concept store will open in the Sydney inner-city hotspot of Kings Cross, metres from an established Coles. But don't expect any Metro stores in Adelaide or Perth yet. Woolies wanted to "get the offer right on the east coast" before they headed west. Over half the space in the store is dedicated to fresh food, far more than in a shopping centre supermarket. "It's a curated range for the location. There's a lot of fresh, a massive area for health food, but rather than aisles and aisles of cleaning products and personal care, here that's all jammed into the last row for an emergency," said Mr Greentree, who confided that since he started running Metro he's found himself sprinkling hemp powder on his cereal of a morning. "In CBDs, you just can't find 3000sq m blocks to accommodate a perfect rectangular supermarket so you have these weird shapes and basements and it means you have to learn how to make it work." Mr Greentree said the rent on a prime spot on Pitt St, which has some of the world's highest rents, did have an effect on prices. "All the specials are the same price as is the majority of own brand products but we do put the price up on a few other things to recover some of the cost of these inner city locations," Mr Greentree said. By news.com.au's reckoning, that hike is about 10 per cent on the everyday price of branded products. At a nearby full-size Woolies, a 150g jar of Nescafe costs $9.40, at the new Metro store it's $10.35. Bega peanut butter, free range eggs and Cadbury blocks all had similar differences in price. It's all very snazzy. In fact, the format has similarities to David Jones' food halls, which also feature hot roasts and cold salads to eat immediately. Is Woolies trying to out-DJ DJs? 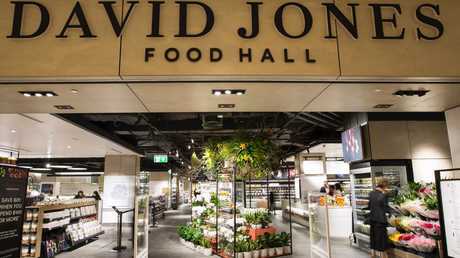 "David Jones do some really nice stuff with food but I don't think it's a DJ's offer as much as fulfilling what our customers tell us they want and need," Mr Greentree said. Mr Greentree insisted it wasn't all about moneyed-up customers splashing out on sushi and salad. 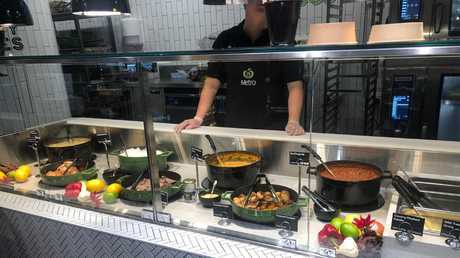 Metro stores have now opened up in several western Sydney suburbs and some of the ideas are filtering down to local supermarkets. "It's not just for the CBD. 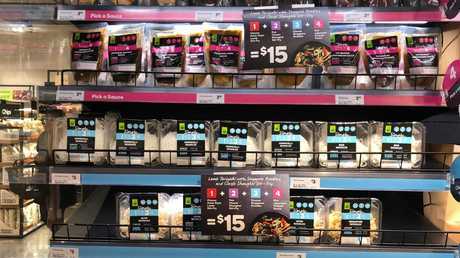 These stores may skew premium but our ready meals are now pretty much accepted and available everywhere," Mr Greentree said. Poke bowls are one of the most popular food choices at the store. 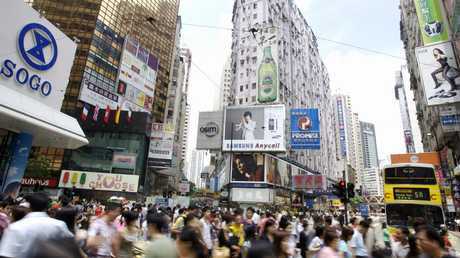 The crowded streets of Hong Kong have acted as an inspiration for the new store.